I’m going to pair my bluetooth keyboard+touchpad (Bluetooth iPazzPort), i’ll use the bluetoothctl tool. After the first boot, we need to connect our Raspberry Pi to the Internet, and enable a SSH client in our pc to control it remotely. You can access the router configuration page (usually http://192.168.0.1) to check out all devices connected to the network and get the Raspberry Pi IP. In my case i’ve got 192.168.0.7. If the Raspberry Pi is connected by WiFi, it’ll be a little harder, since you’ll need to edit a file with your WiFi network and password. We can download putty. It’s a very simple SSH client. We’ll set the Raspberry Pi IP to connect and select “SSH connection”, then save the session with a name so we don’t have to fill it again the next time. When we click Open, a shell will show up so we can work. The first time we connect, we’ll be asked to accept the authenticity of the host. Then it’ll ask for user and password and you’ll be ready to work as you were locally on the Raspberry Pi. The SSH command is installed by default in Linux. We’ll open a shell and type ssh IP, where IP means the Raspberry Pi IP (in my case ssh 192.168.0.7). To enter straight, we can type the command ssh pi@IP in our local network (in my case ssh pi@192.168.0.7). Here you’ll also be asked to confirm the authenticity of the host the first time, then you’ll be asked for the password (if we type ssh pi@IP) or the user and password if we just type ssh IP. After that you can enter commands as you were locally on the Raspberry Pi. where ESSID means your network name and PASSWORD your password. Expand Filesystem. Expand the SD in order to fill the unused space. Since the stock rom has only 3gb, if we dump it to a SD it’ll only take up 3gb no matter its size and it would be recommended to expand the partition in order to fill the whole space in the SD, but we’ve installed the operating system inside the USB, not SD, so we won’t touch this option. Change User Password. User:pi password:raspberry by default. Console. Boot to console. I recommend this option if we want to load xbmc kodi or emulationstation. Desktop. Boot to Raspbian Desktop. We can also start it with the command startx in the console. Scratch. Boot to Scratch application. We can also start it with the command scratch in the Raspbian Desktop. Internationalisation Options. Configuring language and region. Change Locale. Select language and country. Add to Rastrack. Add your Raspberry Pi to Rastrack. It’s a Raspberry Pi tracker. You can see them around the world from their website. Overclock. Overclock profile. It’s 700Mhz by default (Raspberry Pi 1), it should be safe to overclock it to 1Ghz without any troubles, but i didn’t need it, so i rather don’t touch it. Overscan. Configure screen edges. If you see two black stripes at the top and bottom of the screen and you want to see it at fullscreen, you’ll change the horizontal overscan values. Hostname. Set a name for this device in the local network where it’s connected. Memory Split. Change the amount of RAM that it’s sharing with the GPU. I recommend 192 for the GPU (Raspberry Pi 1). SSH. Enable or disable remote acces by SSH. I recommend this option in order to get a raspberry shell from any device connected to it by SSH, such as mobile phone, tablet, etc. SPI. Enable or disable the SPI kernel boot by default. It’s “no” by default. Audio. Select the audio output. (Auto, jack or hdmi). Update. Upgrade this tool to the last version. We are going to install the stock Raspbian distribution in the flash drive and SD. Download the latest version of Raspbian wheezy from here. Unzip the .zip file and dump it to the flash drive. where sdX is the flash drive. 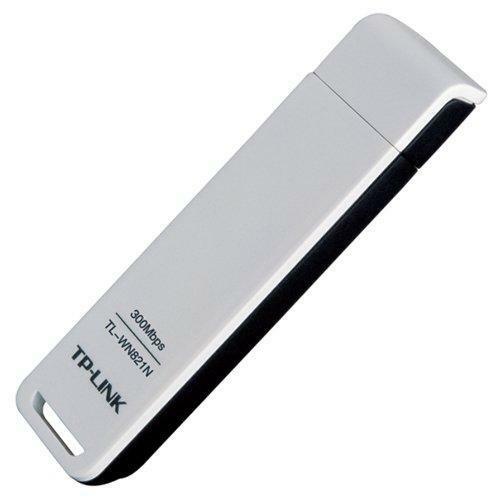 Be sure of not confusing it with other storage device as the main hard disk drive. If you only have one disk, the first one will be sda, so the flash drive should be sdb. If you are still unsure I recommend you to see this link where I explain different ways to know which /dev/sdX corresponds with the inserted flash drive. Now we’ll have in the flash drive two partitions: fat32 with the boot and ext4 with the operating system. Copy the content of the fat32 partition to a folder in your pc. Remove the fat32 partition from the flash drive and resize the ext4 one. Windows: Paragon Partition Manager. When installing the program you’ll be asked for a product key and serial number that you will get registering for free at the website. Linux: Gparted or another partition manager. Since the boot size is only 40MB, we can use the rest of the SD as warehouse. Create a fat32 partition with 100MB and set the rest as ext4. Windows: Paragon Partition Manager. This program doesn’t allow to create ext4 partitions, so the warehouse will be FAT32. Copy the content of the fat32 partition that was in the flash drive (it’s in a folder in your pc) to the fat32 at the SD card. Explanation: Raspberry Pi needs a SD card in order to boot, it’ll look for the boot there, but it must look for the operating system in the flash drive. Usually it redirects to mmcblk0p2, that’s the second partition of the SD, where the operating system should be, but we change it to sda2 in order to redirect it to the partition 2 of the first storage device inserted. Actually there’s only one partition in the pendrive, but when we edited the partitions, we left as “sdb2” the remaining partition (it’s called sdb at the pc because there was another one called sda, but it’ll be called sda in the raspberry, not sdb). Videotutorials for Linux and Windows. In linux, when a new device is inserted, a new file will be created at /dev to handle it. When a storage device is inserted, It’ll be created /dev/sdX, where X is a letter between a and z that will increase as we insert more devices. If we only have one, we’ll have /dev/sda. If that device had two partitions, we would have /dev/sda, /dev/sda1 and /dev/sda2. If we insert another device we’ll have /dev/sdb too. I usually use gparted, it’s a partition editor for gnome. There are all disks with its partitions, called /dev/sda, /dev/sdb, etc. So checking the partitions and size of the device that we’ve just inserted, we can deduce its letter, which should be the last one. Another way to do it is to navigate through a file manager to /dev, to order by “date of modification” and select all with Ctrl+A. Now, when inserting the new storage device, a new file will appear at the end, and won’t be selected, so that’s our file. Another way would be with dmesg | tail command. We type it in a terminal and we’ll see the log of the last events, including the insertion of the pendrive and its associated letter. Another way would be with df command. We type it in a terminal and we’ll see all partitions. There we can deduce which one corresponds to the device that we’ve just inserted looking at its size. Ultimate Raspbian presentation, 21 March 2013. 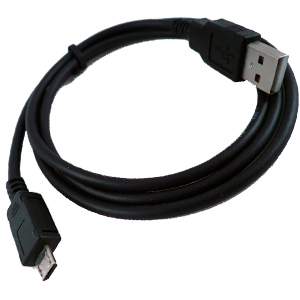 – MicroUSB-USB cable connected to monitor LG M2394D (gives more than 800mA, probably 1A). – Wireless gamePad PS1/2 DragonPlus with adapter to USB GreenAsia. – Is a Raspbian distribution with Retropie (emulators) and XBMC KODI (mediacenter). – Boots straight to emulationstation. – The 2GB SD boots and redirects to flash drive to continue loading there. I recommend this configuration in order to never corrupt the SD, since OS is in the flash drive. – Boot’s size is 40MB, i’ve formatted the other 1.8GB as ext4 and mounted it as Warehouse (called “Almacen”). – I’ve not yet managed to handle XBMC KODI with the GamePad. Raspberry Pi. A credit-card-sized computer. I bought it from here for 42€, box included (Raspberry Pi 1 Model B). MicroUSB charger. You can use your smartphone charger (usually 1A), you can also use this ones, but you’ll also need the microUSB->USB cable. I use the Asus charger of my tablet, 2A, though Raspberry Pi consumes less than 1A. You can also connect it to a monitor with USB port. SD card. Or microSD with adapter. I’ve used a low capacity SD to put the Raspbian boot (only 40MB), the operating system is in the pendrive. You can get the 2GB SD card for 2€. SD compatibility list. Flash drive. Here we will install the distribution, 8GB is enough. I’ve chosen flash drive because it’s faster than a class 10 SD and won’t be corrupted. Nowadays (2013) it’s 6-7€. Audio/video cables. Raspberry Pi has two outputs: analog (RCA composite video) with audio jack, and digital HDMI (video+audio). Maybe you will need HDMI to VGA or DVI converters. For this adapters you may need powered usb hubs since there’s a signal processing in there. USB hub. Raspberry Pi has only two USB ports, so you will need a usb hub in order to connect more devices. There are powered usb hubs that complement the power received by the microUSB charger. WiFi adapter. To get access to internet or local network. I use this one. BlueTooth adapter. For wireless devices such as mouses, keyboards or gamepads. Unboxing Raspberry Pi and showing all devices I’ll use in this project.